PIPE stands for ‘private investment in a public entity’ and there are certainly legitimate PIPE financings where large public companies have negotiated large private placements of equity, debt, or convertible securities with commensurately large institutional investors. Some of Warren Buffett’s high profile investments in companies faced with sudden crisis, i.e. Salomon Brothers and Goldman Sachs, are properly characterized as PIPE transactions. In these types of situations, PIPE financings can be attractive because of the speed in which they can be accomplished. The investments made in these micro-caps or nanocaps are usually not straight equity investments, rather they are in convertible equity, convertible debt or warrants, purportedly bought at a discount. 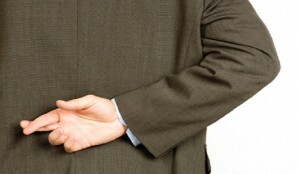 Because there is no established markets for these types of investments, it is very easy for fund operators to lie to investors about the amount and value of investments being made because the PIPE fund investors will have no readily available source of information with which to discover the truth. These PIPE funds are advertised as hedge funds for the little guy; a way for the small investor to capitalize on special opportunities in the same fashion that Warren Buffett does. Too often these sales pitches are simply lies. During the financial crisis, Warren Buffett could gauge the performance of his investment in Goldman Sachs by looking at the front page of the newspaper. Investors in PIPE funds have almost no way to accurately gauge the performance of their investments. Creators of fraudulent PIPE funds choose this format because it is so difficult for investors to find out the truth of what is going on inside these funds. In its January publication of disciplinary actions, FINRA announced that it had suspended a securities salesman in Sarasota, Florida for selling investments in PIPE funds without the permission of the brokerage firm by whom he was employed. In the same announcement, FINRA revealed that the PIPE funds in question have been placed into receivership by the SEC. The SEC alleges that these PIPE funds were fraudulent and have misappropriated over $4 million of investor funds while breaking a host of securities laws and regulations.